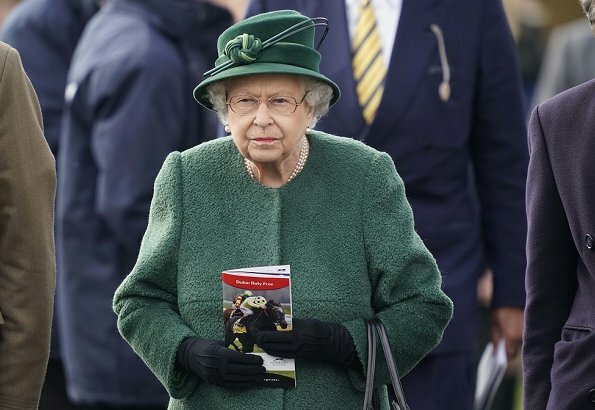 On April 13, 2019, Queen Elizabeth II arrived at Newbury Racecourse to watch three of her horses race at the Dubai Duty Free Spring Trials. The Queen spent time in the paddock visiting her horses before heading into the parade ring to meet her jockeys, who donned royal colours for the occasion. 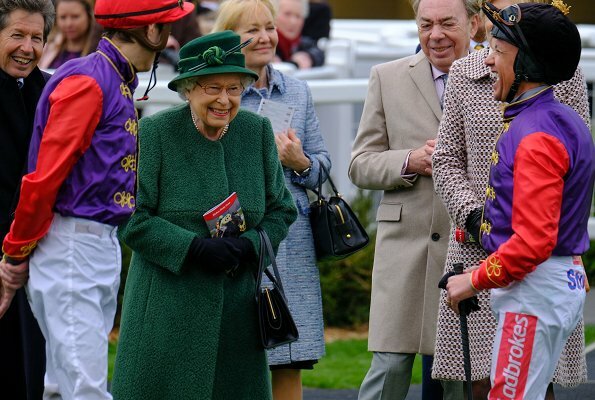 A passion for horses runs in the Royal Family, with the Queen known for her love of horse racing. Sucha grand lady. Love that coat. Ah, she looks like a cozy green Teddy bear here, but it must have been a very chilly day! As usual, she looks grand! Is that Andrew Lloyd-Webber with her there? Lovely green coat and her always delightful smile. It has been unseasonably cold in most of UK this week so she'd certainly need the coat. The green coat looks very beautiful on her. 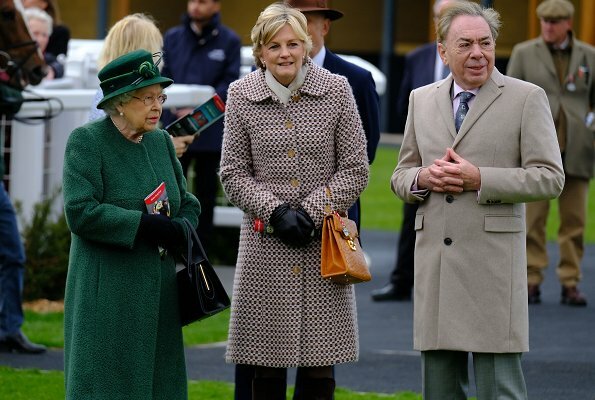 Why does Andrew Lloyd Webber wear a coat that is too small? Eine wirklich königliche alte Dame. Nur der Teddy-Mantel ist gewöhnungsbedürftig. Aber dafür ist der Hut wirklich chic. 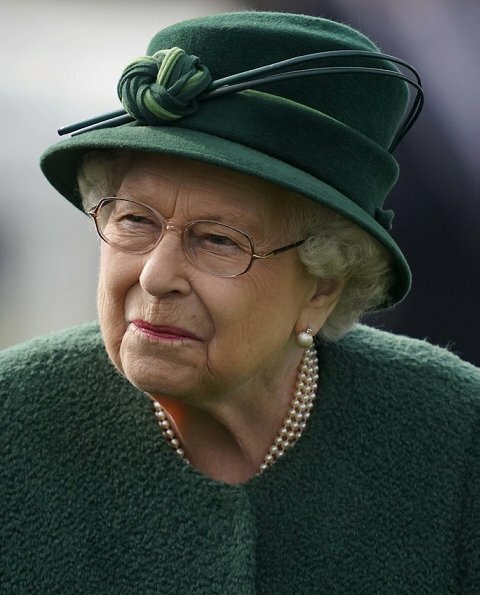 The Queen looks lovely in this green coat. She has a big smile I assume one of her Horses won?. She was beautiful as a young woman and still is a beauty. Actually, she looks better than in the 80s. I love the style and color of her hat and the coordinating color of the coat. 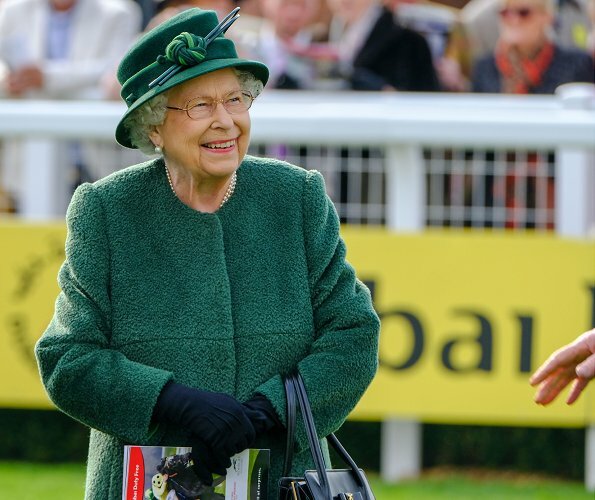 Queen Elizabeth is in her element at the horse races -- even more so when her own horses are in the competition. There is an extra glow in her face. Remarkable woman;Her Majesty wears the colour well.Mr Webber does look a little peaky. I will disagree. This coat looks like a bathroom rug stitched into a wrap. The color is fine. But the cloth is not supposed to be made into anything a royal should wear. Maybe the worst thing I've seen her wear. Queen hits it out of the park as usual with that pretty green!